I would buy this in another color. It's an excellent match with the shower curtain. I used it for my bathroom toilet and floor. I needed two sets to replace the ones I bought 25 years ago! I am pleased with the colors and the quality of the items. I'm sure these will last and wear well for a long time also. Thank you! great product; made the bathroom very attactive! Blended very well with the existing features in the bathroom; shower curtain, bath towels, etc. I like that it fits right next to your tub, sink and toilet. It does not wrinkle or move about. The c.f. color is very rich and makes my bathroom look out together. will buy this 5 piece bath set in other colors. I am so please to fine five piece bathroom sets in various color. The five piece sets are so hard to find now days, thank god for Walter Drake selections on all household items, But I wish they can add more colors in the five piece bathroom sets.One needed color is (Black) and (Red). Thank You Alma Johnson. I was so excited to find this item and especially in Hunter. Locally they don't offer the tank set any more and the color Hunter green is not to be found. It fits perfect too. Very pleased with this item. I've always purchased my sets from [...], but they no longer carry the tank cover sets. While they are way more plush than these from Walter Drake, they are also very expensive. I wanted to change my accent color so I ordered a set recently and am well pleased with what I got for what it cost. Although a tight fit, I was able to stretch the toilet seat cover with no problems and actually like that there isn't so much excess material. The same is true of the tank cover set. Through [...] you would pay as much or more for the seat cover than this whole set costs. I would most certainly order again and hope Walter Drake continues to carry this. We had a terrible problem with a sweating toilet tank. Other fixes would cost too much. I hated cleaning up puddles on the floor - causes mildew and mold. This was an economical and nice-looking solution, but this item is so hard to find anymore. The Only Place to Buy a Tank Sweater! We are happy to now have the color we wanted. A 5-piece bath set is very hard to find in a store and this one is just what I wanted, fits like a gloove and the color is great. PRODUCT WAS A PERFECT MATCH FOR THE COLOR IN MY BATHROOM. PRICE WAS EXCELLENT AND QUICK SHIPPING. 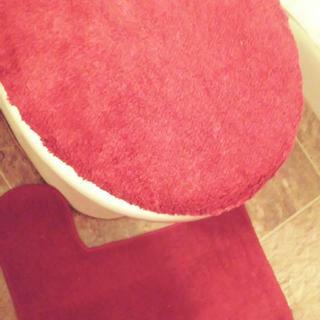 Bath set carpets could be thicker. Had been looking for a 5 piece bath set & this was the only one I could find. They must be out of date, but I loved my old one that was worn out. These sets are just what my small areas needed. I especially like the tank covers that absorb the condensation from our very cold water and the mat in front of the commode. The non-slip backing on the mats make them safe. On some of the comments I read about this set is that it didn't fit the toilet very well probably because the toilet was a newer one and the shape is not like the old toilets. The toilet I used it on was here when I moved in 22 years ago so it's obviously an old toilet and this set fits on it very well. 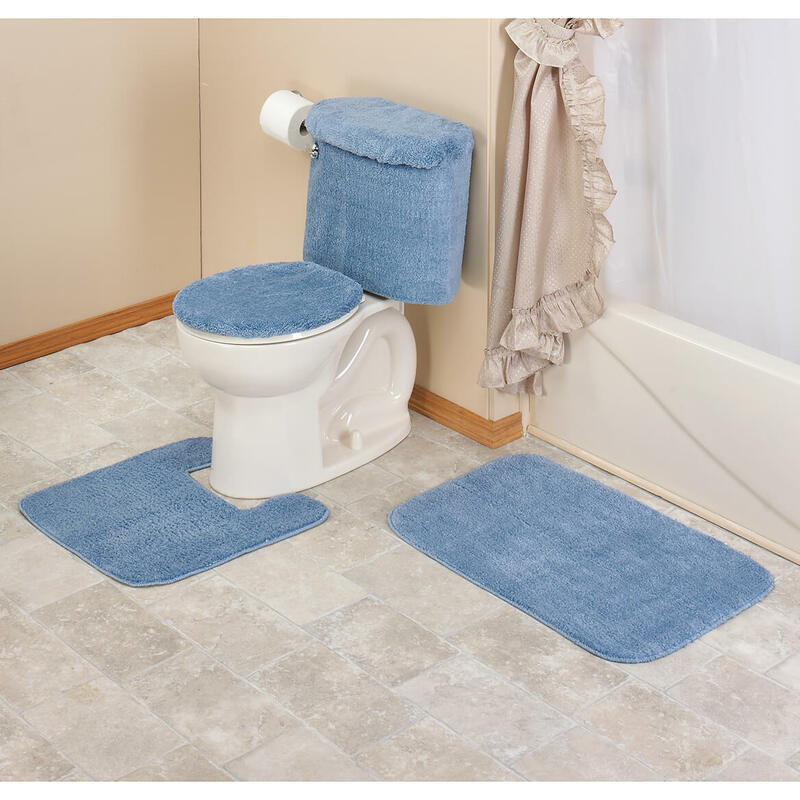 I wanted it for a small downstairs bathroom that only has a toilet and sink, so I wasn't able to use the large rug, but everything else I was able to use successfully. The set was perfect for my small bathroom. The color matched my other accessories (shower curtain, towels) very well. Looks good, material quality is good, but fit on tank a little bit loose. 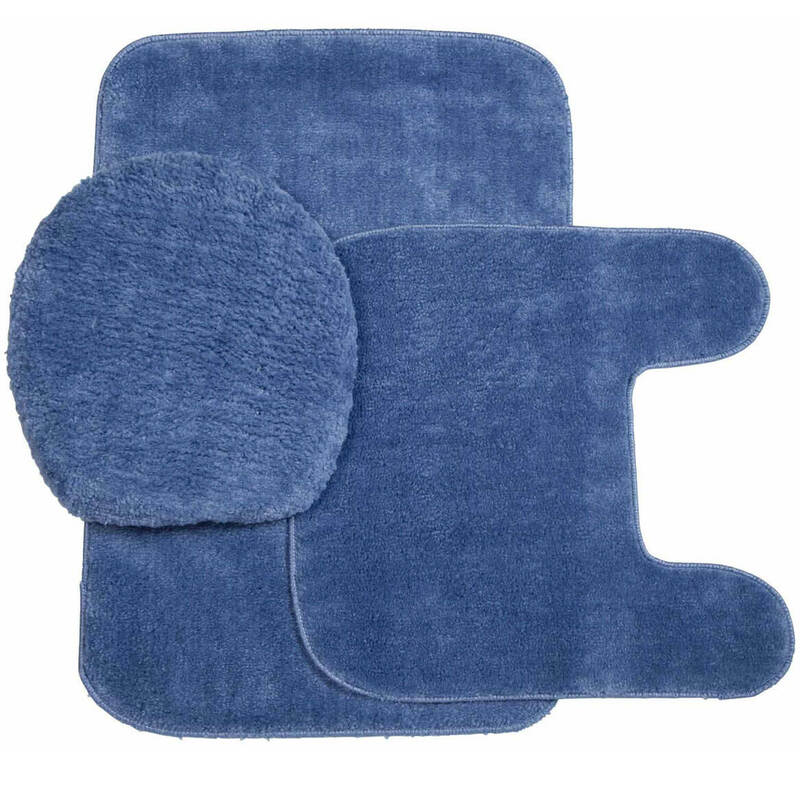 This rug set is very durable.. This stays put for example they do not slide on floor they stay put. It's the only 5 piece set i could find anywhere. Fits well on tank and lid and seat cover but the two rugs are very thin. Hard to find this item in stores. Did not need all the pieces. We were looking for a tank cover and seat cover. 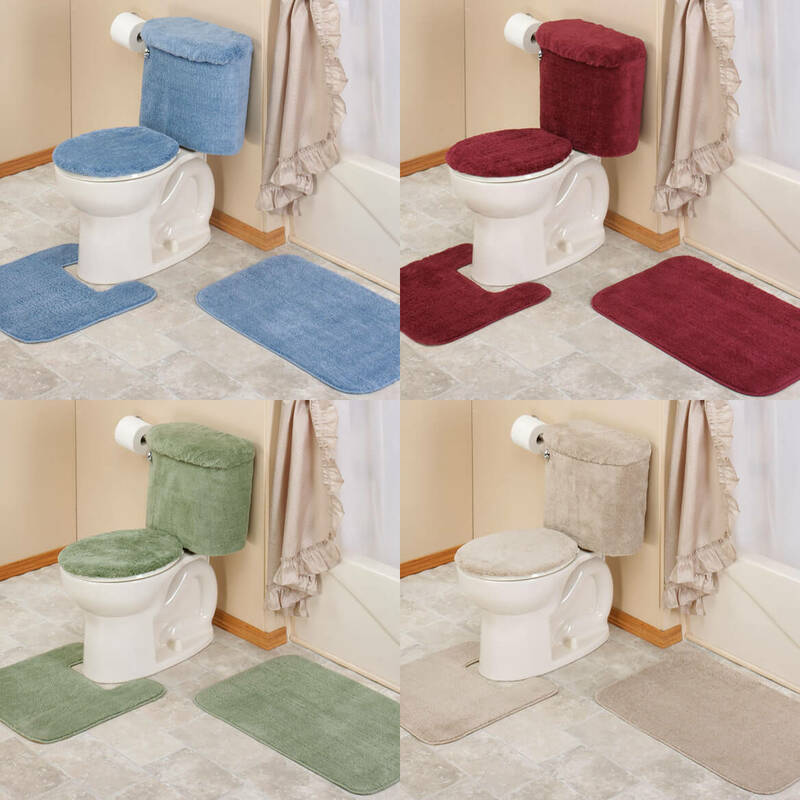 We use this 5-piece rug set in our bathroom. The thing that is great about this product, is that we were able to find the tank cover. We have searched others places for it and we thought they don't make it any more. I wish the rugs for the floor were a little more thicker. I wanted something on the beige side and altho' this looked like beige, it was a little "off" color of what I wanted altho' it turned out nicely. The tank lid was way too small so I had to cut the elastic and add my own to fit. Other than that, I am quite pleased. I ordered this set because I needed a toilet tank top cover! I could not find one in dark brown anywhere. So I ordered this set because it was affordable for just the cover. However, I was pleasantly surprised because the entire tank set fit! 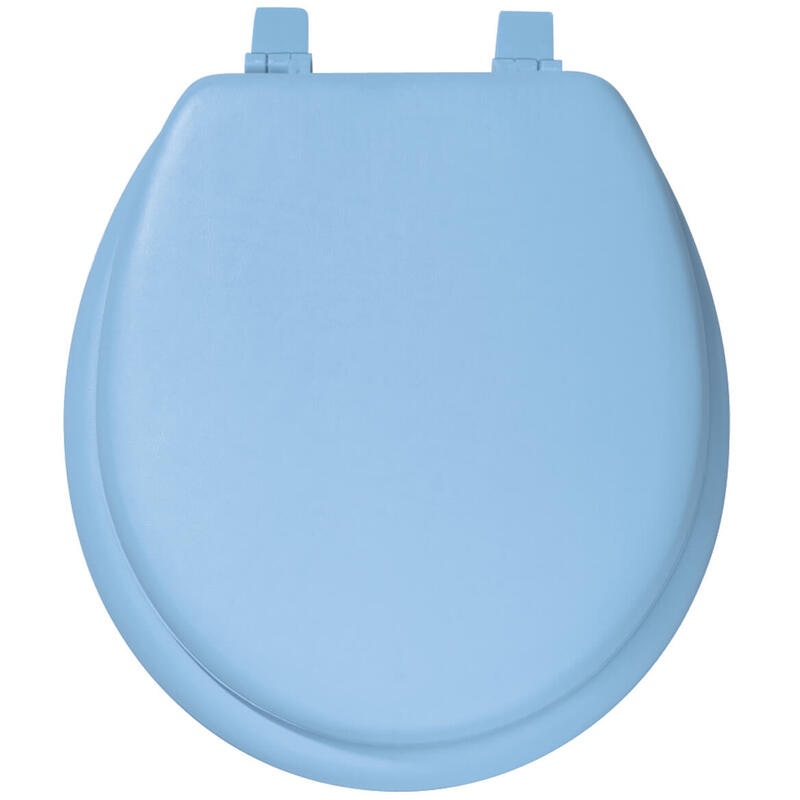 This is a first in many years of ordering sets because it's a 32-year old toilet with a square toilet seat which was quite fashionable when we remodeled lol!! However, since then, I've had to resort to just using the tank top cover and rug. So I was very happy that I was able to use the tank cover, tank top cover and both rugs for the first time in years! Naturally, I can never use the toilet seat covers!!! I am a little disappointed in the quality - not as thick as the ones I've purchased in the past but, for the price, I'm very happy with the appearance of the bathroom. We have very cold well water and in the summer our toilet drips from the tank. I always use a tank cover to prevent the dripping causing a slippery floor. Tank covers are hard to find and Miles Kimbel always seems to have them. Put in all the bathrooms in the house. The toilet lid does not fit right and the tank top lid also does not fit right. I didn't realize how hard it is to find a toilet tank set. I was very thankful that Miles Kimball actually still sells them and in various colors. Although the tank base portion is too tight with the elastic provided, I have modified so that it fits (just added more elastic). The seat cover and tank top cover work just fine. The material that this is made of reminds me of carpet in a car. It serves the purpose I am seeking so I am happy. Thanks for having a product it seems no one makes anymore! Bought this for my master bath. The color went great. But the covering for the toliet lid does not fit, and the handle to flush sticks to the material. (when you flush it won't go back up)had to do some trimming here . The seat cover, contour rug and rug fit well. The tank cover is not wide enough and the two ends on the length are different shapes, oval vs. square. It does not fit at all. The tank cover design is unfit for the toilet tank handle-there is no way to put this on properly and there are no directions. (Maybe I missed something? )Due to the expense of having to mail this item back, I will use the 3 pieces and get rid of the other two. I am disappointed as the reason for the purchase was to cover the tank. 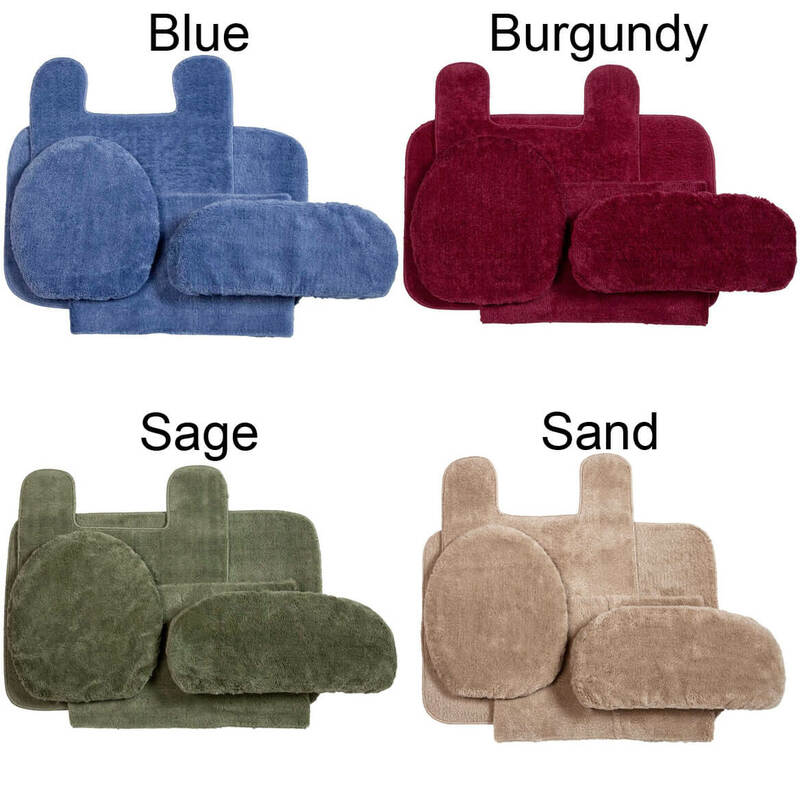 This product is a good buy at $15.95, the sale price. But when I got to check out I was charged [$]. Seems like a rip off to me. It is also not "plush" as advertised. I bought this set because it has a tank cover. This cover is not nearly as thick or "plush" as the seat and lid covers. It had torn away from the back edge before I even opened the package. I cut the opening for the flush handle, and it was shredding around the opening for some time. I am using it because it took sooooooo long to find a tank cover. Hopefully it will hold up until I can find another. Overall this set is great. It is so hard to find a toilet tank set. 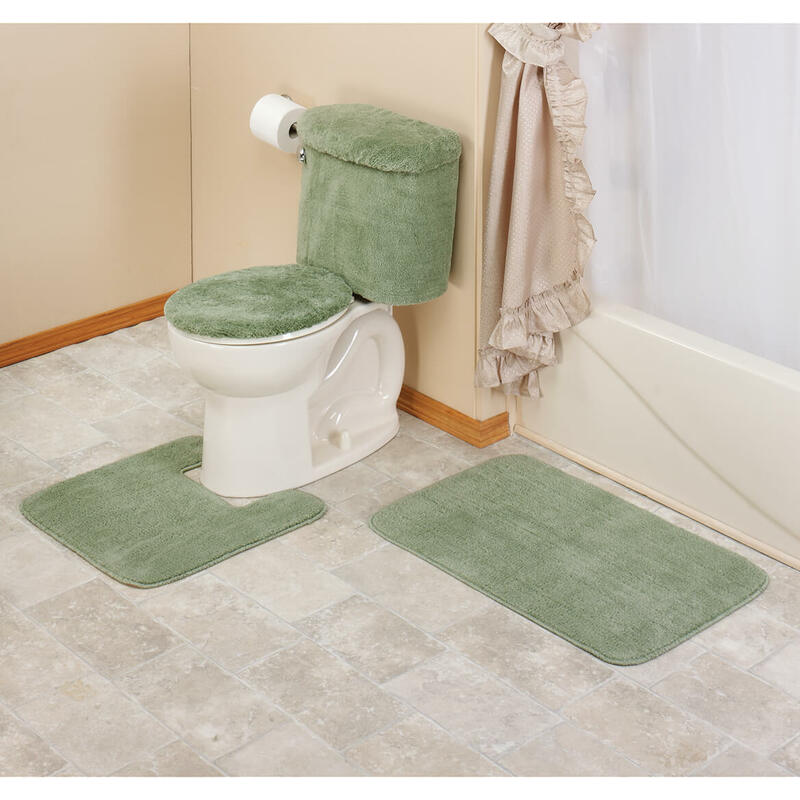 The only problems I had is I can't use the rug around the toilet because it is square and I have an oval toilet. The other is that the full size rug is a different shade and texture, but it still looks nice. So bottom line, 4 out of 5 pieces are great and enjoy it very much. Can't beat the price. The set that was sent to me is not like the one depicted. The set that I received is a nice size but I wouldn't consider it luxurious. I bought this as gift for daughter and the color is perfect but expected it to be fluffier. But was a good price. It is ok, however the material is a little thin, wouldn't use it for evertday. So far I like my bathroom set. Need too order the shower and window Coordinates. Has Hard-To-Find 3 piece tank covers! Needed elastic extenders to reach around older tank. The part that covers the tank too small. I'm not sure what the word "Plush" in the description of this product means. The material is thin and stiff. The toilet tank cover and tank lid cover were way too big. the tank cover, toliet seat cover and the tank lid cover did not fit my toliet it was made very small. I was very disappointed The color was very pretty. Matched my bathroom. The post was for a Plush Bathroom Five piece set. There was nothing PLUSH about it!!! The only thing that was right about it was the color. I definately expected more from this Company! I would get a refund if i could! I was not impressed with this 5 piece set. I would prefer a more plush set. The worst part is the tank cover. It does not fit properly and have no slot for the flusher handle. Very disappointed. Rugs were great! Toilet tank and lid covers do not fit properly. There was no opening for the handle. It's a good bargain for just the rugs, but would not recommend entire set. It is cheap quality, so basically you get what you pay for. The bath set serves the purpose but from the description I was expecting a much higher quality so I'm still looking and plan t o replace as sson as I find what I want. I don't feel the rugs will hold up to washing. Time will tell. I should have known by the price - but did not expect the tank cover and rugs to be so cheaply made. Unfortunately I cannot find tank covers anywhere - this was my last hope and found the quality to be very poor. I redid my bathroom in seafrolic,cosmicblue and the bathset looked purple next to it. It's no good to me.I can never get satisfaction ordering on line. Half the pieces are too small.The material is very cheap,''Paper Thin. ''The Lid Cover tore while putting it on. I would rather Pay More for a better quality 5-piece bathroom set. I had to return the product because it was for a square base toilet. Which I have have never heard of or seen. Description said it would fit any standard toilet. Thats a LIE. It was HUGE. [...]Plus it had been a long time since I had bought anything online because I was afraid of something like this happening and losing money. I wasn't even given store credit or anything. I was so happy when I found what I wanted and it was so easy to get. These sets are hard to find but don't buy this one. It is of unbelievably poor quality. I only saved the tank topper and threw the rest of the set out! Don't be fooled by the picture, a very poor buy. Shame on you Walter Drake. I paid way too much for this. Very disappointed by lack of quality. Expected more from Miles Kimball. Was persuaded to buy due to free shipping. Feel return for poor product should also be free. Company nails you on return postage deduction from refund. Poor quality could not use it threw it in the trash. I cannot recommend this product to anyone wanting a set like this.The only good thing I can say about this set is that the color was true to what is pictured and I was pleased with that. The only two pieces that work well are the two floor mats. There is no elastic in the pieces that fit the lid of the toilet seat or the one that covers the lid of the toilet tank. There was no way I could put the pieces on myself and had to get my husband to do it The cover for the tank lid is too small, does not fit well nor does it lie flat. If these fitted pieces get dirty enough to wash, I don't think there would be any way to get them back on again and they will have to be trashed. The thing that bothers me most about this set is that it is made in America apparently by people who do not share the same expectations of quality nor pride in their work that I grew up with and came to expect in the '70's and '80's. I feel this was a complete waste of my money! When the tank cover came, it was way too small so I ordered another one[...]The tank cover on that one was too small, also. So basically the tank cover was unusable. Luckily, I can sew so I made a tank cover out of the rug from the second order. The tank cover wasn't made to cover a toilet tank. The material for the rugs are thin and faded after the first wash in cold water and mild detergent. The toilet lid and tank cover not only faded after the first wash, like everything else, but actually became frayed around the edges. It's worth about ten dollars. 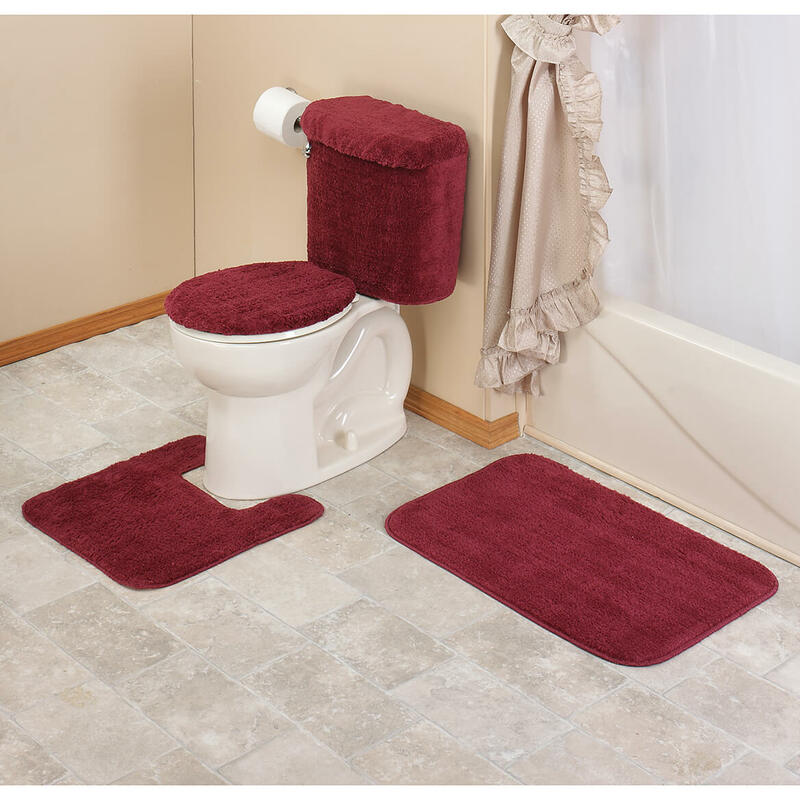 This set is not made to fit all toilets, and is not as Plush as the claim. I have 2 different sized Toilets. The only thing that fits are the rugs. The set does not fit either sized toilet. Not the Tank or the Tank Lid. One is to small...The other is too big. When I saw the tank cover set in the catalog I was thrilled. They're very difficult to find. However, after receiving the two sets I ordered, I was very disappointed in the quality. Neither the tank cover nor the contour rug fit. I sent this item back the 5 piece bathset. wad not at all what I thought I sent it back and would like my money since I paid for shipping both ways. I was happy to see it delivered, however, the tank cover is too small to fit on my American Standard toilet tank. The toilet seat cover made it, but I suspect that once it goes through laundry it will no longer fit. The tank cover for the lid is way too big. I imediately took this set to another bath room to try to fit the tank cover over a much smaller tank on an energy efficient toilet. I noticed that the cover does not fit this either. I also noticed that NOT only did it NOT fit around 2 different tank sizes, but the depth was much more than needed. Too small to fit and too deep to fit without bunching. I would NOT recommend this to anyone having Modern Toilets or any Toilets manufactured in the past 50 years. "Save Your Money and Time." Poorly made and didnt fit our standard toilet tank. I ordered four of these, two for my daughter and two for myself, my daughters were returned...I am going to keep mine and use only the tank and seat sections...maybe use the rugs in the garage. I will never order them again, they are very low quality. I purchased 2 sets, although I read poor reviews of this item. Tank covers are impossible to find. I went to put the 1st tank cover on (rose) and 1 of the elastic strings was off already and the piece for the tank cover was too small. The elastic on the 2nd one(blue) broke as I was trying to put it on the tank & the cover for the top was much too big. I didn't even look at the rugs because I knew I would be sending everything back. I was very disappointed with this product. You can't put the back tank cover on because there is no opening for the toilet flusher. The rugs are so thin and cheap looking. 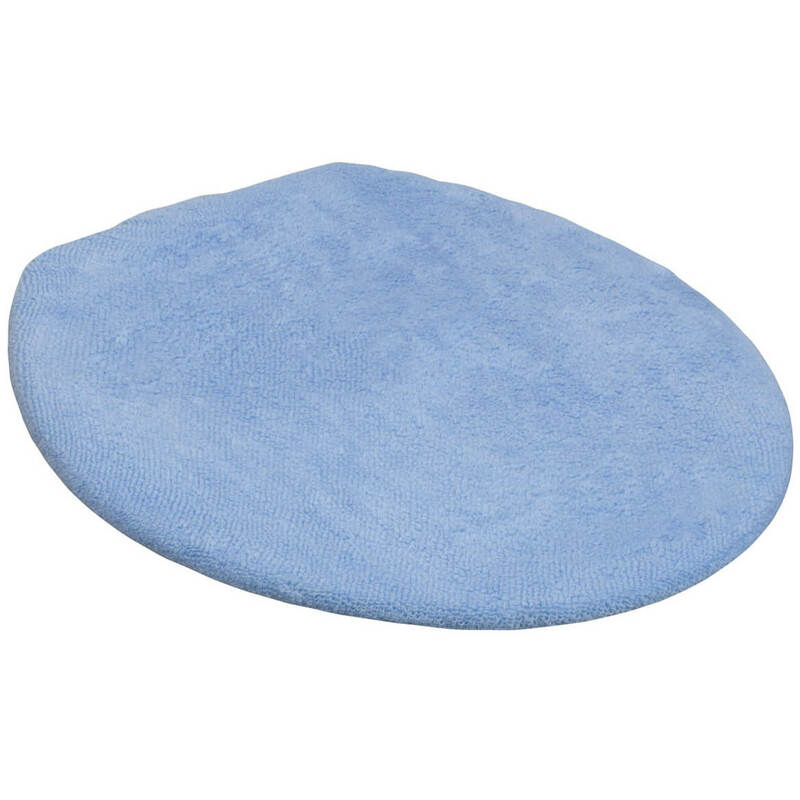 The back tank lid cover and toilet seat cover are not plush and do not fit a normal size toilet. I would have sent it back but they charge you the shipping . So after a few days when the rugs where worn I just threw the set away. I'm sorry but the 5 piece bath set is very cheap and thin. Not at all what I will use. Very poor quality. Put my finger through the material just trying to adjust it to fit. . . which it never really did. Edges frayed, seams uneven, just a piece of garbage! Would cost me more to return it than to keep it so I'm stuck. The [$] price for the 5 piece set should be your first clue. This is cheap matierial and unattractive quality. I am sorry I bought it but the picture/description is deceiving. Oh well..it might have been nice. The tank cover did not fit at all.I like the tank covers with the elastic edges and not across the back and thats what makes it to small and i will probably break the elastic trying to force it on the tank. I wouldn't buy another set. I'm so disappointed in this product. After scouring the internet for a set that included the toilet tank and toilet tank lid cover I thought I'd found the perfect accessories to complete my mid century bathroom. The color was not as shown or described. It was more of a mauve than a pink (as shown in the photo) or even a rose color...which I could have lived with. The quality is terrible. The rubber backing on disintegrated on the first washing. I was hoping that I could recommend this product to my friends who are looking for bath accessories, but sadly I'll have to tell them to pass on it. It is the perfect set to complete my guest bathroom. I wanted something in a soft muted green tone to complement the wood grained 3 tier toilet unit and mirror piece I just purchased. All the pieces together will make a small space look warm but not cluttered. You want your guest bathroom to always look and smell good. It is a reflection on you as how you keep the rest of your house. Hard to find 5 piece set. I have shopped for 5 piece bathroom set to no avail. Saw it bought it. To add a little color to our guest bathroom! I needed a change in color. Looks good and finishes up the bathroom. Because it's hard to find sets with the matching "tank covers"
Very reasonable price. Good quality. I was unable to find item in other mag. THIS ITEM LOOKS VERY NICE FOR OUR BATHROOM DECOR AND ITS REASONABLE PRICED! Ordered from Walter Drake because complete sets cannot be found in retail stores in metropolitan Washington, DC area. Because it’s available in Burgandy color. Can't find it in the local stores. It is a complete set not pieces missing; looks nicer with everything on the tank instead of just the tank top and seat!!! Need a new set, and cant find these around much. I needed a 5 piece set and they are extremely hard to find. It would help if you had more color choices for us old-timers who still love these sets. I wanted this to match the carpet. re-doing bath, like the look of a complete set and they are hard to find in retail stores. WD always has a great variety of things. The price. Needed new ones to go with new shower curtain. To make a long story short, I have previously purchased several of these items by mail order from your catalog. I,ve always been satisfied with all of my purchases. Although it has been a while since I have shopped with you, I'm exited to get started again! why not new water saver toilet sizes? Is the toilet seat cover for larger elongated seats or the smaller standard size? BEST ANSWER: It's for a standard size only. 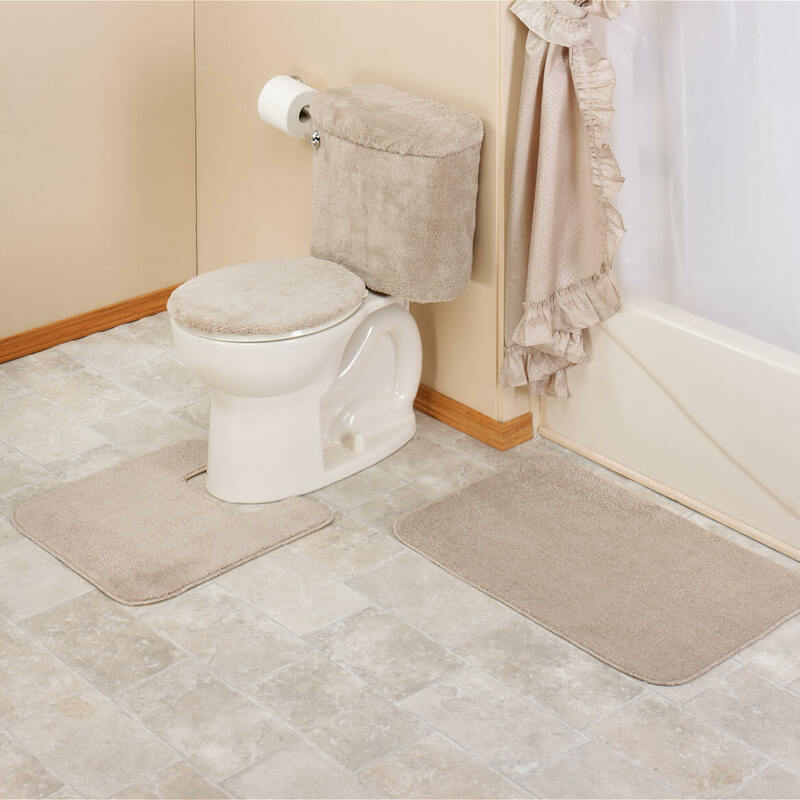 need elongated toilet lid cover to go with a 5 piece bath room set ? BEST ANSWER: The toilet seat cover that comes with the set does not fit most seat. I purchase five sets and was not able to use the toilet seat covers. I can use the elongated seat cover. Thank you for your question. At this time we do not have a 5 piece set that comes with an elongated cover. We hope this information will be of help to you. can you buy a contour rug only? BEST ANSWER: Thank you for your question. No, this is sold in a set. We hope this information will be of help to you. can you tell me if you still have this set in chocolet thank you? BEST ANSWER: Thank you for your question Unfortunately the chocolate has sold out. We no longer have inventory and are not expecting further shipments from the supplier. We hope this information will be of help to you. is the rose colored one available for the 5 piece bathroom set? BEST ANSWER: Thank you for your question. Rose is no longer available. We hope this information will be of help to you. Thanks....but it took you a really long time to answer and I forgot that I'd asked this question. I found the 5 piece set at Blair and love it. BEST ANSWER: Thank you for your question. We only carry this item in the colors listed. We hope this information will be of help to you. will this fit elongated toilet seats? BEST ANSWER: Thank you for your question. 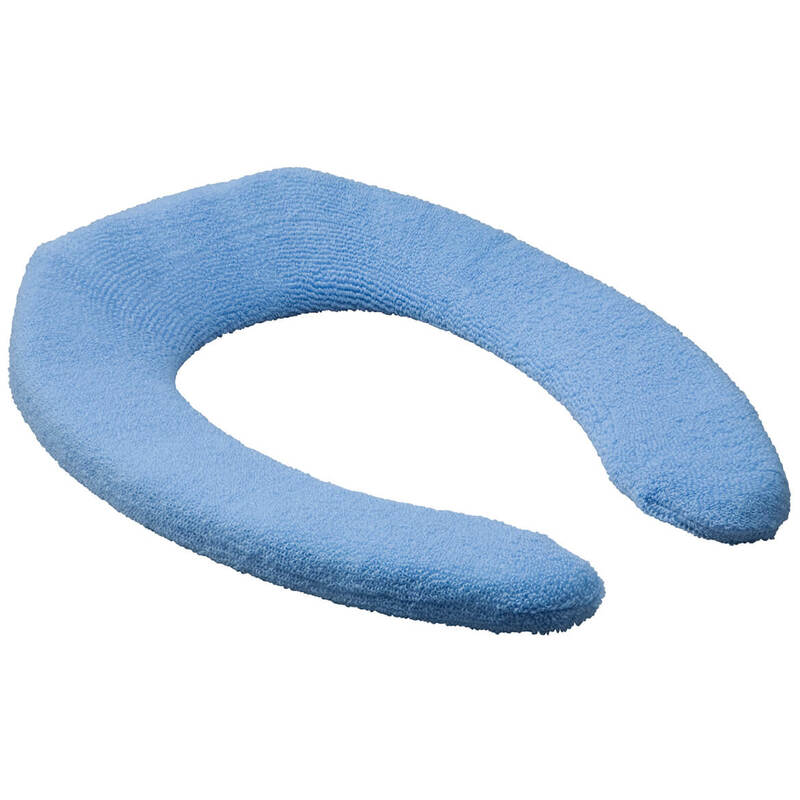 These will not fit elongated toilet seats.We hope this information will be of help to you. Do you have a bath mat with lighthouses? or know of someone who does? BEST ANSWER: Thank you for your question. Please follow the link below for lighthouse bath items. We hope this information will be of help to you. 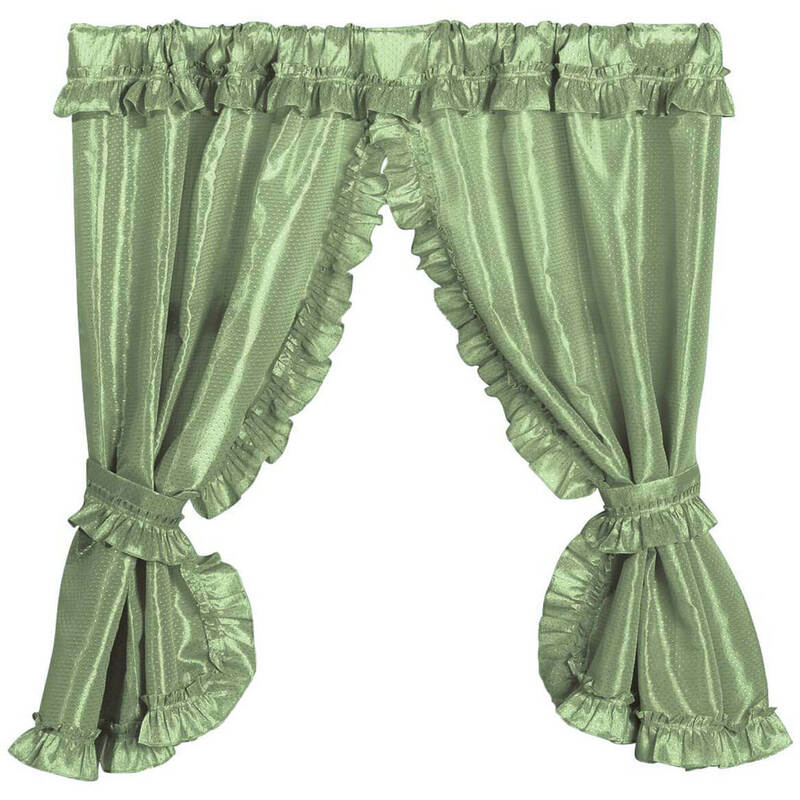 Doesn't this come in the same color as the shower curtain? I am asking a friend or Walter Drake. I want it to match the shower curtain. Do you have 5 piece bathroom set in yellow? BEST ANSWER: Thank you for your question. Unfortunately, we do not have the 5 piece bathroom set in yellow. We hope this information will be of help to you. Is there any Navy Blue and Hunter colours in the toilet 5 piece set? BEST ANSWER: Thank you for your question. At this time the Hunter and Navy Blue colors for the 5 Piece Bath Set are no longer available. We apologize for any inconvenience. How do I get Burgundy? BEST ANSWER: Thank you for your question. To get the 5 piece bath set in burgundy all you have to do is select burgundy from the drop down menu and add it to your cart. We hope this information will be of help to you. do you have rose color in this item? BEST ANSWER: Thank you for your question. Rose in no longer an available option in the bath set. We apologize for any inconvenience.